All of the above speaks for itself. That’s why we strongly urge our clients to microchip their pets. A microchip is more reliable than a collar and a tag, because there is no chance it will fall off. The microchip is a permanent ID that links your pet to you. It is inserted with a simple injection and will not move. 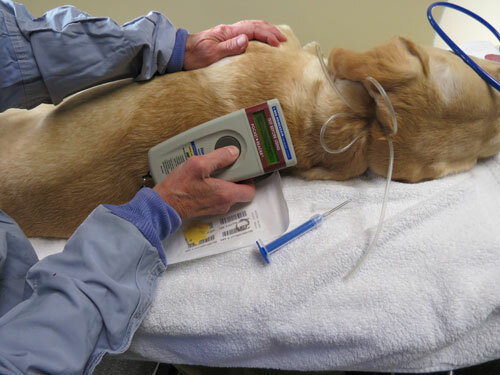 If your pet is taken to an animal shelter or clinic the staff will scan the the microchip to read its unique ID code. As soon as your contact information is retrieved you will be contacted and arrangements will be made to reunite you with your pet. 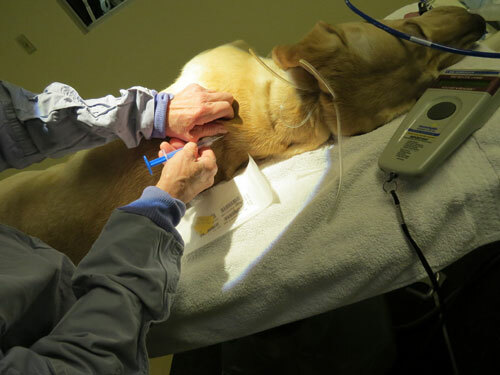 The photos below show Dr. Neumeister inserting a Microchip. 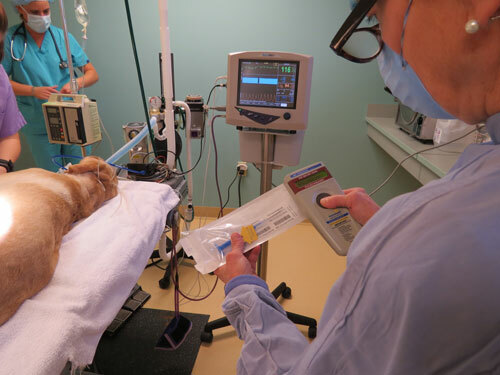 In this particular case it was done while the patient was still anesthetized from a surgery, but micro-chipping can also be done without anesthesia. Dr. Neumeister compares the chip number with the enclosed label and test-scans them. Doctor Neumeister scans the area where the chip has been injected to make sure it functions correctly. 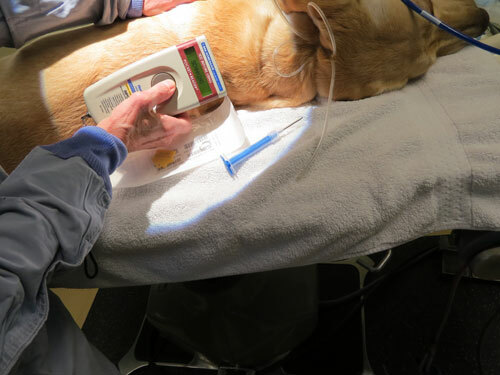 The microchip number appears on the scanner: the injection was successful!